Enjoy a versatile, affordable Japanese paper. Masa Paper can be used for a large variety of art applications, including drawing, letterpress, sumi painting, watercolor, printmaking and more. The strength and versatility of this fine Japanese paper lends itself well to the art techniques which get the paper wet. 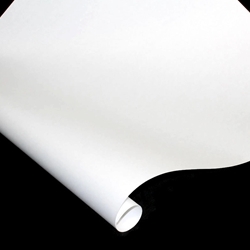 Masa Paper is soft and white and has both internal and surface sizing. The front surface is smoother and shinier than the reverse, which has a slight tooth. Masa is machine-made from sulphite, is acid-free, and is available in both 21" x 31" and 8.5" x 11" sizes. Available in 2 Sizes: 21" x 31" and 8.5" x 11"